Text on Back: In this stately old mansion are found the true lines of the Southern colonial home. Its dignified white columns and broad verandas portray in living fashion antebellum days before the great Republic of Texas was in the making. 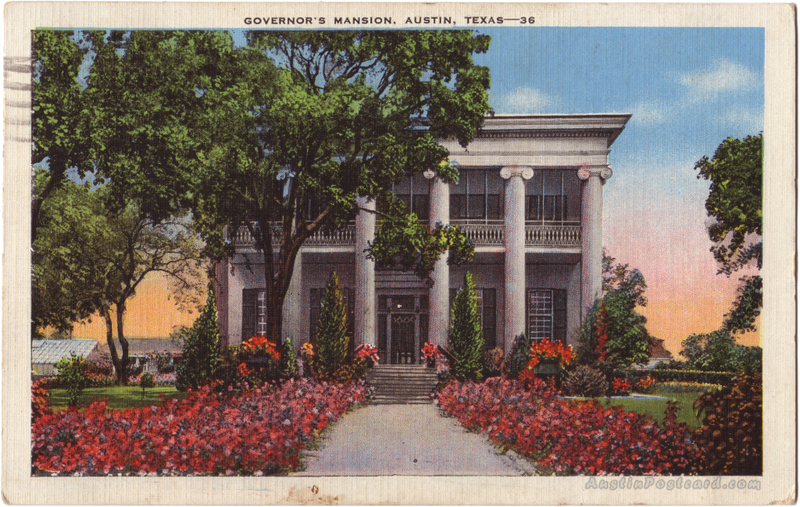 Home of Texas Governors since before the Civil War. Thomas called me last night and said you were going home. I would like to go if you have room for me.